Above: Fortunately, Lightning is not introduced by removing a motorcycle helmet to reveal -- gasp -- she's a woman! Still clearing out some of the backlog, my review of Final Fantasy XIII is up now at thephoenix.com. This one seems to be polarizing fans, but as I argue in the review, every new Final Fantasy game seems to polarize fans. Popular opinion only coalesces much later. At least, that's the way it feels to me. Is it true? I don't know. This review ran like a month after the game came out. I had to think of an angle. Argh, still being flip. I like this game quite a bit. The criticism about it taking 25 hours to get good feels off-base to me, as I allude to in the review. I think it's great fun before it allegedly opens up, and didn't have any problem with the way the game was laid out. Besides, if you're going to suffer through 25 hours of something because you've heard it gets better after that, you may want to re-evaluate your priorities. There's still the argument about what, at heart, Final Fantasy is. Lots of people argue that it's always been about exploration, but the exploration has never been what's attracted me to the series. In fact, I had a hard time getting into the games for a long time because of the open-ended style of play. Only when I used walkthroughs to get through parts 1, 6, and 7 did I start to appreciate what Final Fantasy does well. For me, that's the combat. That's why I was taken with this one -- it's nothing but combat. I mean sure, it's more complicated than that, but everything is rolled out so slowly and confidently that I didn't realize just how complicated it all was until I tried to write it down. Try to sum up paradigms, stagger, the crystarium, and inventory upgrades in 600 words. Maybe you can do it, but it won't be much fun to read. That's why I said the hell with it and started making fun of fanboys. On the other hand, maybe it's just auto-pilot at this point. I just went back to read my review of Final Fantasy XII and it says almost all the same things. Good night, everybody! I am not a fan of the Final Fantasy series but I did enjoy the first five hours of XIII. Once I had to fight the Eidolon (Shiva Sisters) or any other battle that took more than half a minute to beat, I lost interest. The linearity, banal story, and pretty but uninteresting graphics didn't bother me. But to be honest, I just don't want to learn a fast paced combat system. I would rather play a shooter. So for me I prefer conventional Western style combat in my RPGs, but I don't see a problem with Final Fantasy XIII. In some ways I think Square did a better job with it than Bioware did with Mass Effect 2. 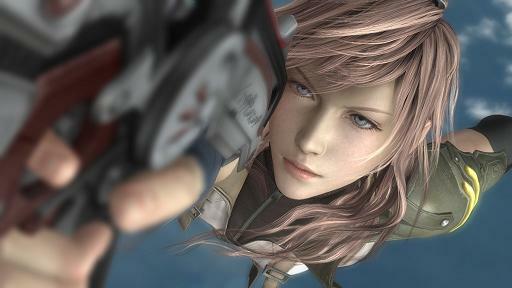 Final Fantasy XIII comes across as deeply flawed and botched in so many ways I've lost count. The battle system is just about the only thing SE did right, and even that has some issues. I've never played a single Final Fantasy game, because no one has ever been able to tell me what the story is about. RPGs without story are anathema to me. If I don't care about the characters and what they're doing, why should I bother? From what I've been told, the FF games don't even have narrative threads between them for the most part. If I want a game that's all combat, I'll play a game that has no pretenses about being anything OTHER than combat, which usually means shooters. Or maybe RTS games. As an avid FF fan, I need to say that I wasn't that impressed with the first 2 discs of FFXIII, outside of the graphical enhancements and the battle system. There's just something that doesn't feel...well, Final Fantasy about the whole experience up until about 20-something hours in, when the experience becomes somewhat less linear. Crucify me if you must, but I'm just putting in my 2 cents.